Blog number 5 this is, welcome one and all. Another week of nights at work and for once this seems to be coinciding with the promise of some reasonable winter weather﻿! Today started lovely and clear so I headed off down to Warrington. I didn't do too much on the line to Fiddlers Ferry last year so was unsure what times the trains are currently due. Turns out they haven't changed an awful lot, and dinner time is definately the best time with a few trains booked to run, but it is as still a most annoying line to try to photograph on. So back to the old station as there had been a little bit of reed clearance by the crossing. 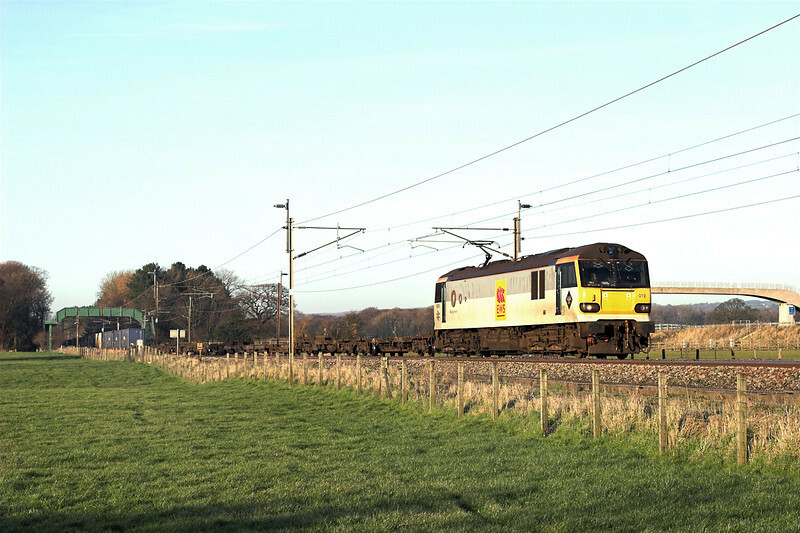 Whether its been done by Network Rail or another photographer is unclear. It will probably only last a couple of months until it has grown up again. 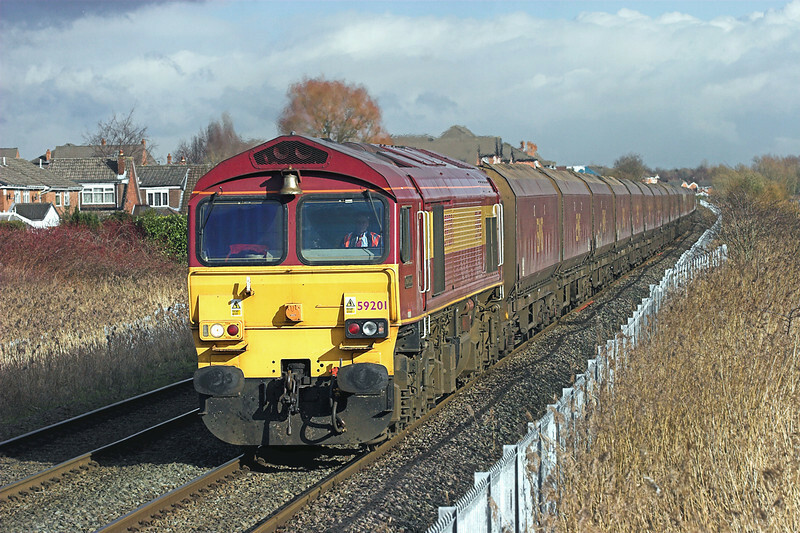 I had only just reached it when 60045 appeared heading east with empties from the Power Station, and 10 minutes after that a DBS 66 on the Gypsum. 3 trains in under 20 minutes heading east then 2 hours before the 60 returned. That is why the line is so annoying! 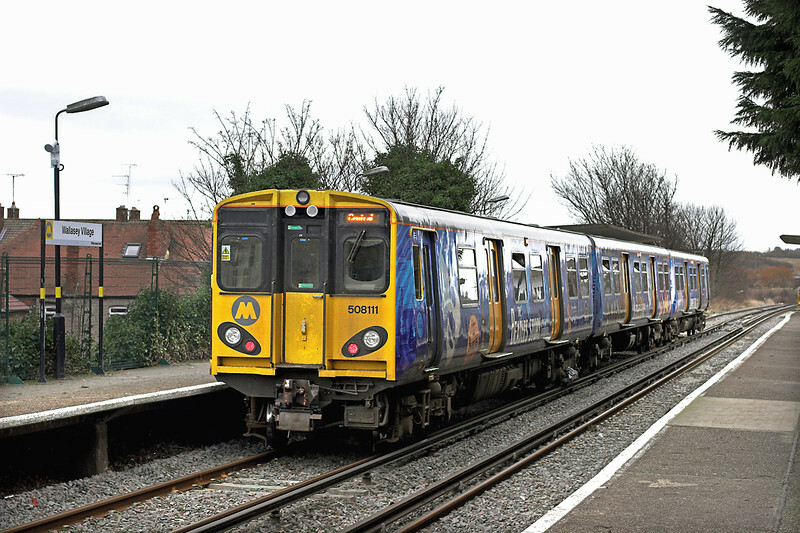 The 60 is on the afternoon train of empties back to the docks at Liverpool that is routed via Widnes (most other trains do a double shunt at Warrington to enable them to go via Rainhill and Huyton). As a result this working passes this point twice. Following right behind it was a light engine 66, also going towards Liverpool (judging by the fact Fiddlers Ferry's distant signal was off). 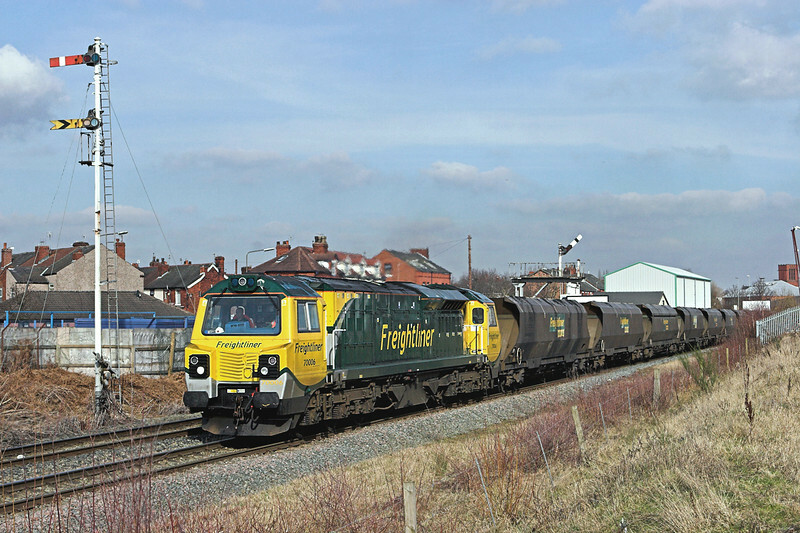 There should then also have been a Freightliner coal from Ellesmere Port but after a wait in the cold for almost an hour (by when the clouds had rolled in) I got word it hadn't left Ellesmere Port yet-obviously the 70 I had missed earlier was in fact the empties for that train running very late. As I said before, I always find this line frustrating BUT if you get the light, and the trains actually run, you can get some decent shots. Its just a shame the fencing and reeds stop any shot from the far bank of the canal, and one day I'm determined to manage a shot of a train west of the Power Station on the even less used section of line towards Widnes. Thanks for reading this blog. Pics from today (all 4 of them!) are now HERE. Fingers crossed for some more good weather Wednesday or Thursday. Bye for now. Welcome to Railwaymedia Blog numero 3! This week has turned out to be busier than I expected. Normally when I'm on a week of nights at work I can't be bothered to do much once I get up, but I found out at the end of last week that I had a major problem with the hard drive I use to back up pictures, so I've had to force myself to sort that out. Oh and its also been quite nice weather so I've also had to make myself to go out and find something to point my camera at too. Well, the problem with it was terminal so I ended up needing to go out and buy another hard drive. In fact I've bought two so that I'll not have to re-back everything up again - which I'm now having to do. The one good thing with night turns is I normally get to crack on with the picture reprocessing for the website, but that is on hold for now whilst I try to get all the images back. Anyway, enough of all that. With Monday and Tuesday both being lovely January days, I made the effort to get out for a few hours in the afternoon. 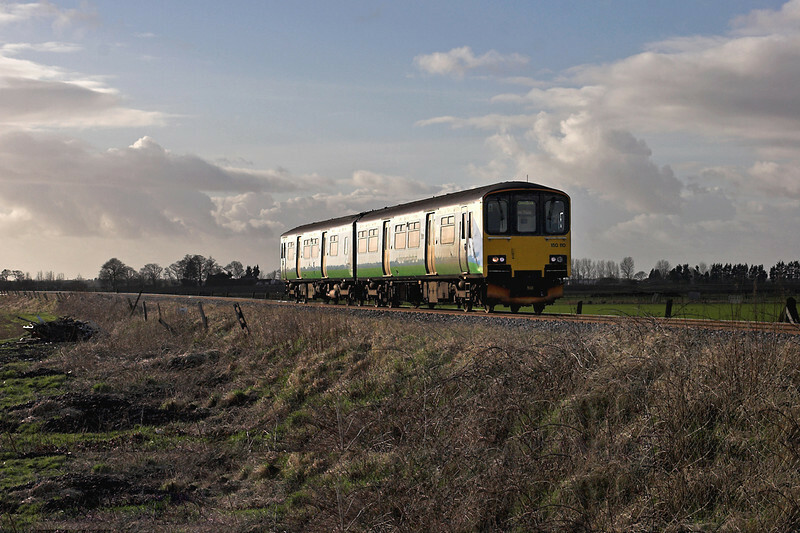 Again on the hunt for the dwindling number of London Midland liveried 150s in the area (painting in Northern livery is proceeding quickly I believe), I nipped to Kirkham. Only one was seen and that was on the wrong end of the 4 car Blackpool to Preston empties which then form the 1423 Hazel Grove (previously one of the 180 diagrams). Still, always guaranteed there to get a shot of a 142 on a Blackpool South train. I then nipped to the classic location of Brock. First time I've been there for some time, in fact I'm not sure I went there during 2011 at all. 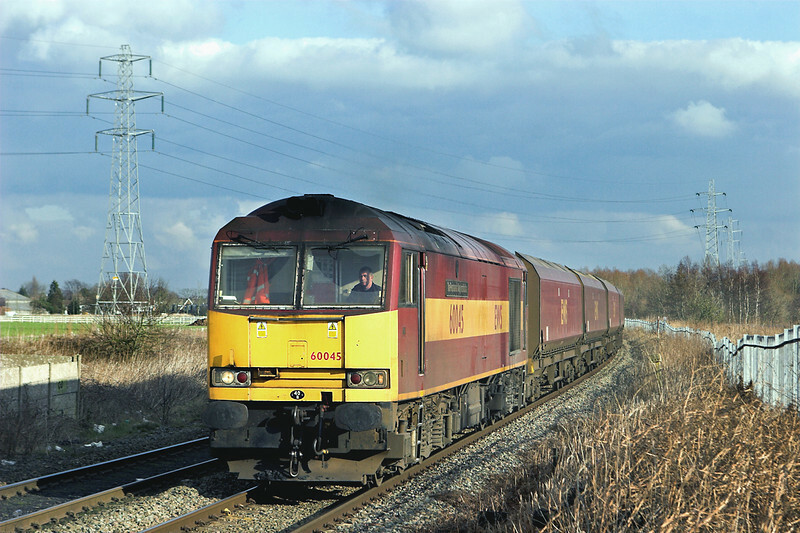 A few years ago an afternoon there was always guaranteed to produce 4 or 5 freights, but with the 6K05 engineers train and the 6J37 Chirk log train﻿ both going via the Settle and Carlisle, and the 6K73 Nuclear train retimed much later, the only one you see regularly now mid to late afternoon is 4M63 from Mossend to Hams Hall. 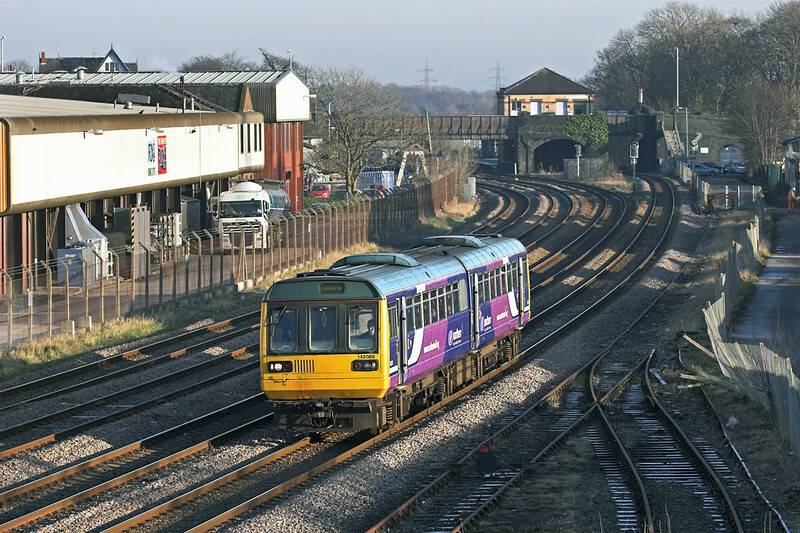 This usually follows the 1437 Pendolino to London from Lancaster. I was hoping for my first shot of a DB-red 92 but needless to say 019 turned up in grey (and with a lot of fresh air being carried on the front half of the train). As it was looking sunnier to the west I headed over to Blackpool to see if any of their new trams were out and about on test. I started off at the south end of the promenade to find the new depot all shut up, and indeed it wasn't looking promising when I saw the (newly laid) lines at the Pleasure Beach being dug up again. Allegedly this is because the rails have been laid too close together. Anyway, approaching Manchester Square I glimpsed a tram slipping away in the distance. 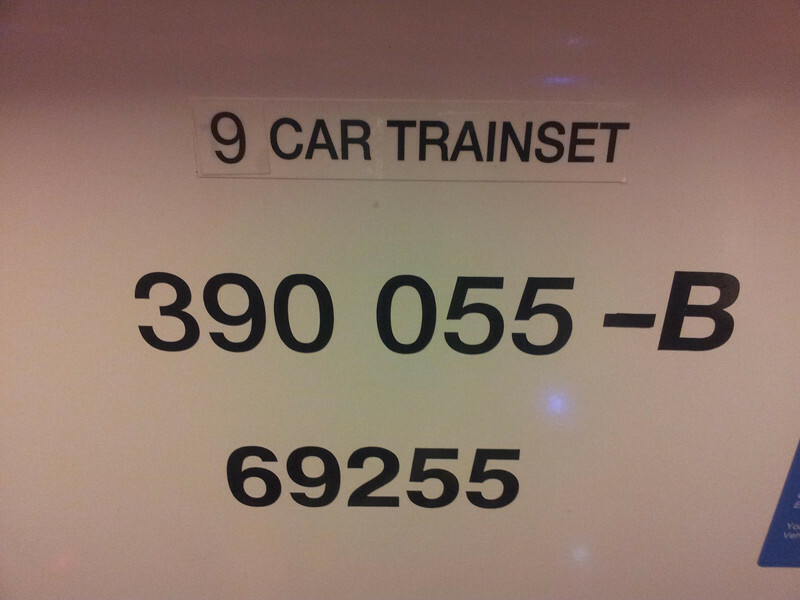 It turned out there were two out, numbers 001 and 002, though the latter has no branding or even fleet numbers on it, just a board in each cab saying '002'. They look smart but both sounded to have flats on the wheels. 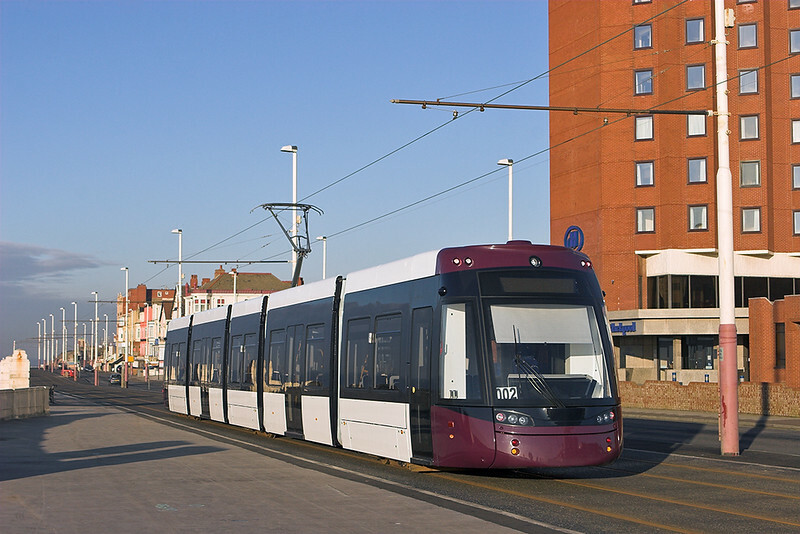 They do though seem to get round quicker than the old trams did, so here's hoping when the line re-opens the people of Cleveleys and Fleetwood will use them more to get to Blackpool for shopping etc. rather than the parallel number 1 bus route. I had about an hour strolling about on the seafront in the lovely winter sun photographing them before the cloud rolled in from the west. For the next couple of days the forecast is much poorer so I will probably concentrate on getting my hard drives online and getting the all important images back onto them. Pictures from last two days can be seen at my 2012 Trips page. I'll keep you updated if I get out and about at any point during rest of this week, in the meantime; thanks for reading. Hello and welcome to the second edition of the Railwaymedia blog. I've been a bit slow adding this one as I've been far too busy visiting pubs over the last couple of days and have only just got round to processing my pictures from a trip to Cumbria on Thursday. 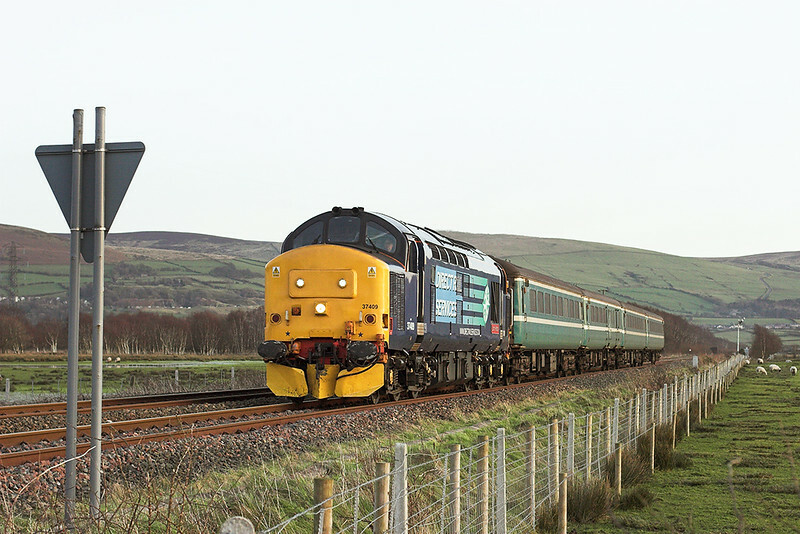 The purpose of that day out was to see the new class 37 hauled 'commuter' train which is running between Carlisle and Sellafield. It's on a 6 week trial as a joint venture between DRS and Northern, so fingers crossed it continues after the 6 weeks as currently its a bit tricky to photograph.﻿ Maybe in a few weeks it will be light enough to get some decent shots further north up the coast. 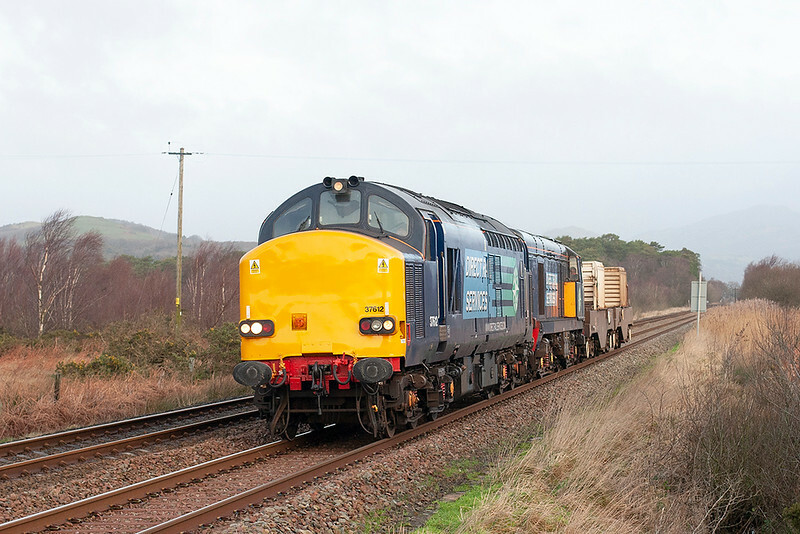 In the morning it runs in service right through to Barrow but in the afternoon it goes back empty stock to Sellafield to form the service onwards to Carlisle. Anyway, the start of the day on Thursday for me was a 2 hour journey from Preston to Green Road on the 0522 to Carlisle via Barrow. The 156s are definately showing their age; though at least it was a toastie-hot ex Northern Spirit one rather than the (identical?) ex North Western ones which can be freezing. I remember travelling on one of those two years ago, when going to see the 'Floodexs' at Workington, that had ice on the INSIDE of the windows. The trouble with it being so warm though was that getting off at a pre-dawn Green Road station then felt much colder: actually the temperature was reasonably mild for a January morning but the strong wind made it feel much worse. A glimpse of the moon at least indicated a possible breaking up of the clouds as it had been raining hard as we passed through Barrow. There was a train due in the other direction about 10 minutes after I arrived and with two passengers waiting for it, at what is a request stop, I decided to try a picture. 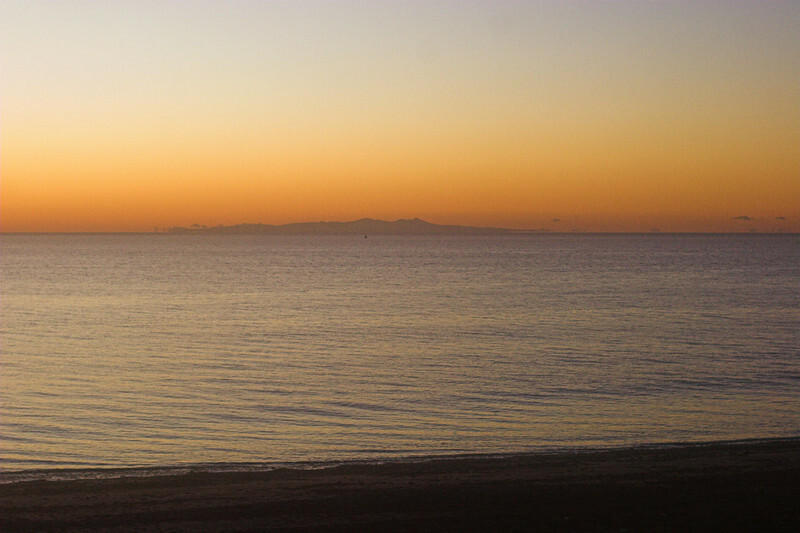 I can't imagine many people have photographed the 0600 from Maryport here, especially not in the middle of January. They may well be the ONLY 2 regular passengers at the station. 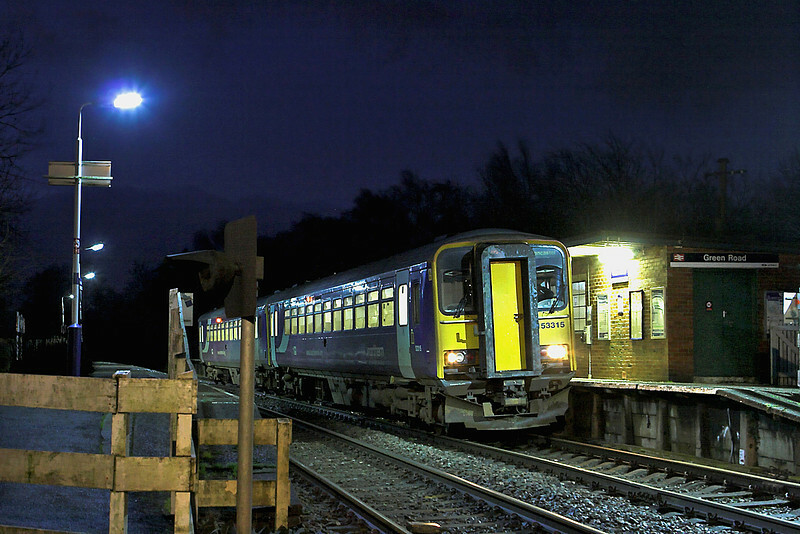 Latest passenger statistics show 1,996 people using the station in a year. With there being no Sunday service, that means about 6 passengers using it a day counting both boarding AND alighting. Unfortunately the light, even at 0835, wasn't quite strong enough for a decent shot of the 37, though only 20 minutes later it was reasonable enough for a shot of 37612 and 20309 on the Crewe to Sellafield Nuclear Flask train. I love Green Road as you can see trains coming along the other side of the estuary for more than ten minutes before they actually arrive. 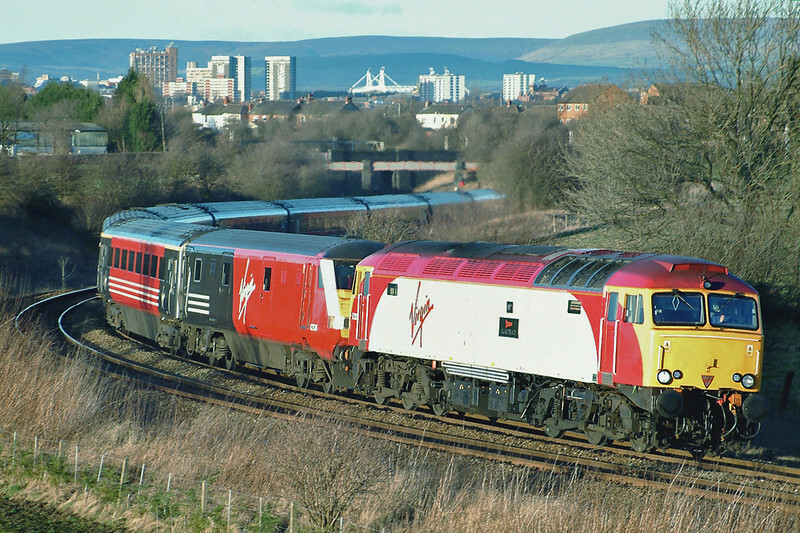 Even better when you can hear them coming too and they have English Electric engines! I next got the train up to Whitehaven and visited the Wetherspoons there for some early dinner. With reference to my last blog: I wasn't going to pay the £5.30 the wanted for the Chilli Noodles and Chicken. You'd think it would be cheaper in the back of beyond as Whitehaven isn't exactly a major tourist area! Even with an early start I felt 11am was a little too early for their Curry Club. Then I went to Seascale. Thursday is the day the Heysham flask train usually runs so I spent two hours in the sun sat by a footbridge, with beautiful sea views and a couple of bottles of Hoegaarden, in the hope they would turn up. I got all excited when I glimpsed in the distance Sellafield's Section Signal pulled off as it was almost perfect conditions for a good shot. 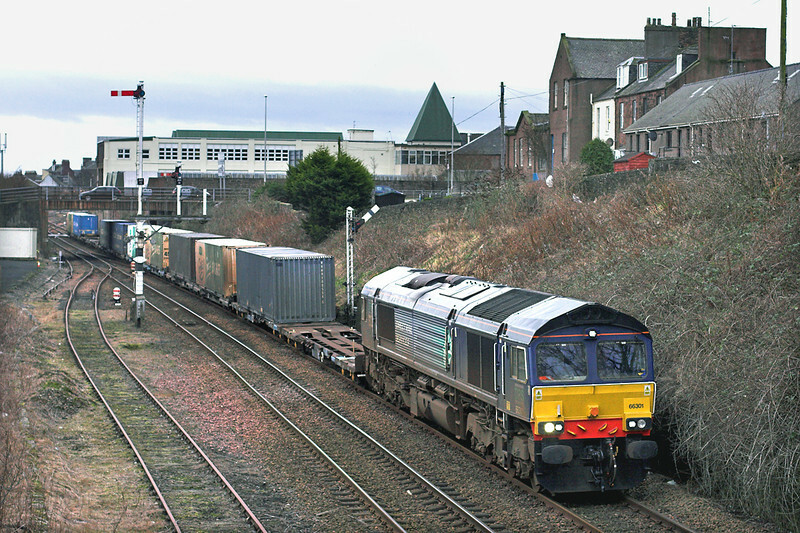 Needless to say it wasn't the freight and it was just an empty class 153 unit that appeared. I was a bit undecided what to do next. 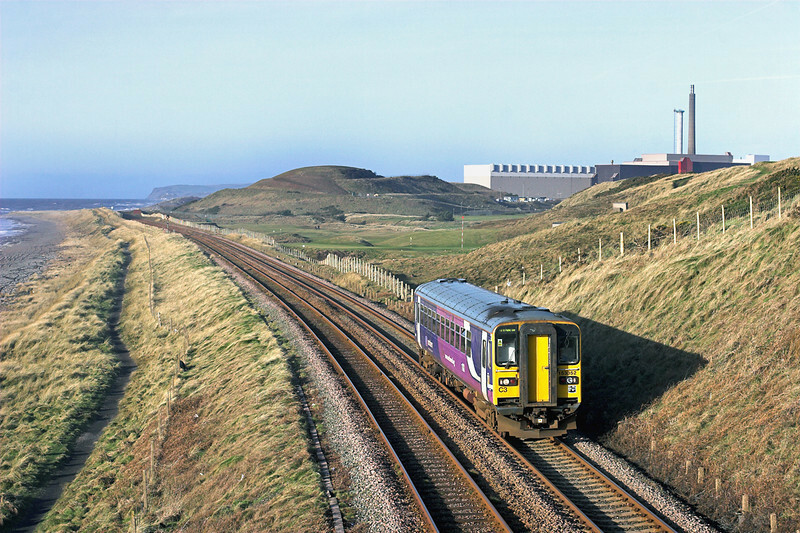 My original plan was to go to Foxfield for the class 37 returning with the empty stock, but with lovely light at Seascale and an open view meaning the sun would be out until literally sunset, I toyed with the idea of staying where I was. With the train due at 1630 I would've needed every last second of the sun being out though so went for my original plan and had a nice ride, on another 156, along the coast back to Foxfield. 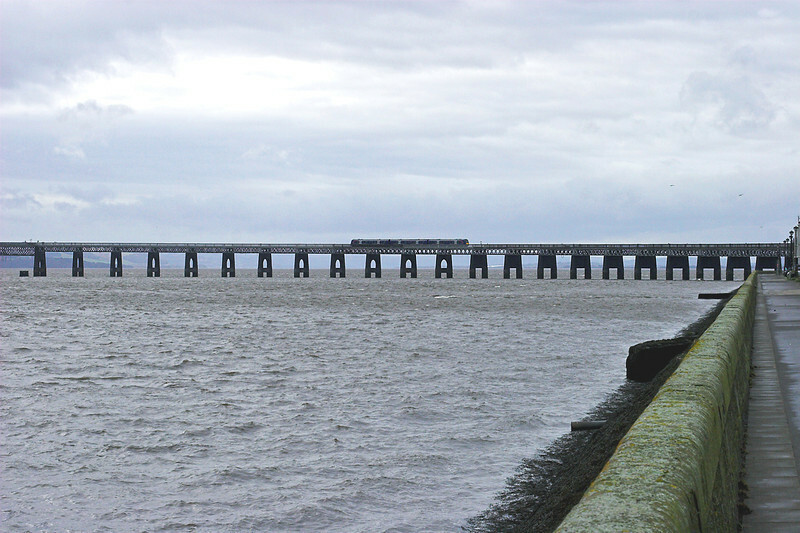 In my opinion this line is by far the most scenic in all Britain with sea on one side and mountains on the other. Below is the view from the train looking out towards the Isle of Man. At Foxfield the excellent Prince of Wales brewpub is situated quite literally across the road from the station. Time for a quick pint in the pub before a 10 minute walk along a lane to a good location to wait for the 37 in the hope it would be a bit early and arrive before the sun went too low. I was getting excited as the sun was still comparably high in the sky so would definately be out when the train came... Well it was but clouds had arrived too. It meant that rather than use my zoom lens to get past the usual inconsiderably positioned sign I had to stick to my 50mm prime lens in order to get a reasonable shutter speed and aperture. The photo came out reasonably well though anyway. If the trial continues after the initial period I may be back there in 5 weeks. Asthat was the last shot of the day it was time to retire back to the Prince of Wales for a few pints whilst admiring the stunning red sunset behind Foxfield signalbox. 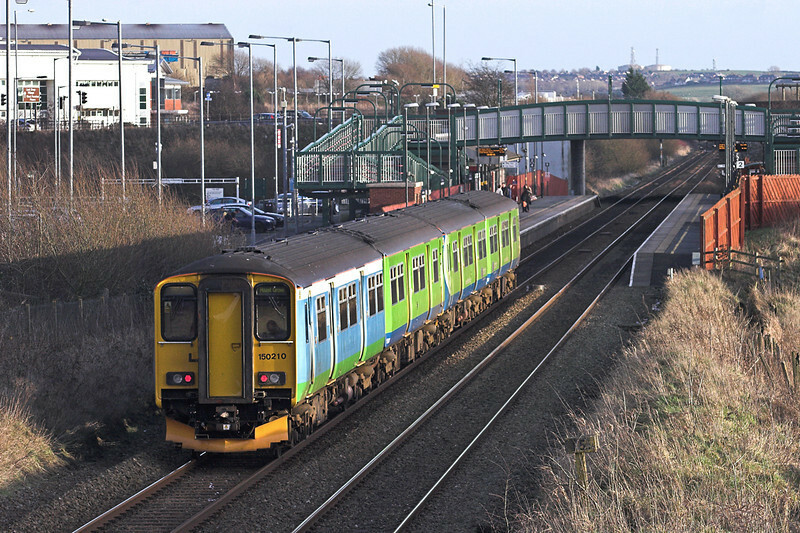 I had planned on visiting the Wetherspoons in Barrow before getting the X35 bus to Kendal for a pint in the one there, but the draw of Foxfield held me longer and it was just a quick one in Barrow before a class 185 home to Preston. Interesting comparison between the 153s and 156s I had been on all day and the 'new' 185. They are a lot better for passengers, brighter and cleaner, though as is common on trains now there were three automatic PA announcements within one minute of us departing Barrow. Well that's the end of Blog number 2. If you want a look at all the pictures from the day they can be found HERE. .Please keep a look out for Blog number 3 which will be along when I think of anything else to say or wander anywhere else. Cheerio! Hello, and a warm welcome to the new Railwaymedia blog. I've been toying with the idea of creating a blog since Christmas, but after a few abortive attempts using Blogetery, which I gave up as the site seemed to think I was spam﻿﻿﻿, I've decided to run with this on Blogger. I suppose I should really have read a few blogs first before starting my own, then I might know what I'm meant to do; but hey ho, I hope I don't bore everyone too much! I'll start off with a resumè of what I've been up to so far this year (all 11 days of it). 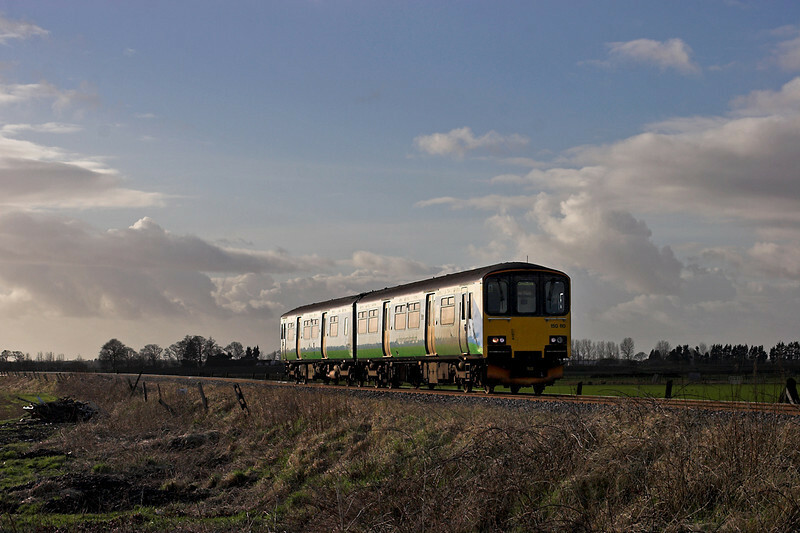 The second day of January I nipped out in car to get a couple of shots of the class 150s transferred up to Northern from London Midland. I'd had word both former class 180 diagrams on the Preston to Manchester route had pairs of these on but one turned out to be a pair in Northern livery and this one above only had one in green. The kids really enjoyed being dragged round in the car to get the shots. Well, they moaned a bit, but I think secretly they enjoyed it. 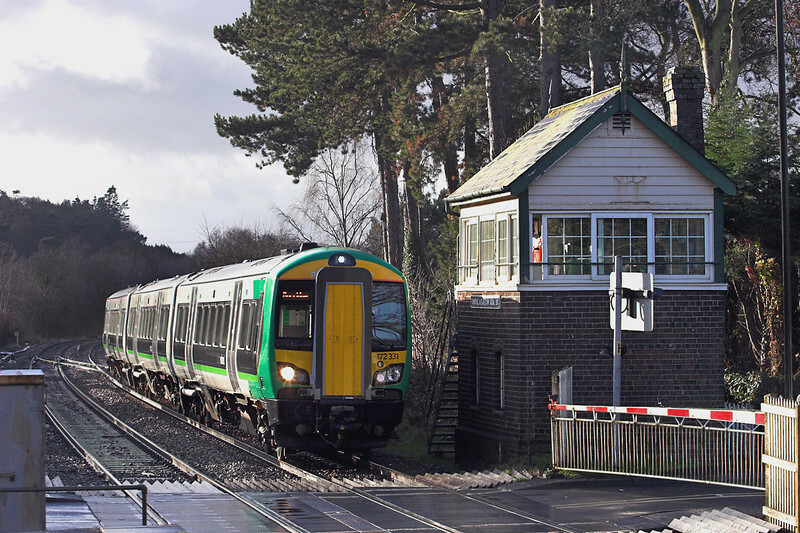 The following day I diverted for a bit from Birmingham to Great Malvern, principally to get a shot of the soon to be closed signalbox at Churchill and Blakedown. A nice old Great Western signal box and I understand that the Worcester area is due to be resignalled, possibly this year, so further visits to this section are definately required to document the infrastructure. On to this week and needless to say as I'm off work the weather is rubbish. I went with a friend over to Liverpool on Monday. Every shot of anything vaguely moving required 800ISO, so largely I didn't bother and we just toured pubs (or to be precise Wetherspoons). Totally off the subject but I really can't work out their food pricing. If you go in different ones yourselves just check the menu's: Chilli Noodles and Chicken varies from £3.79 to £5.30 (no doubt more at airports and some in London). Sometimes branches under half a mile apart have wildly differing prices. Anyhow, it made a change and a good day out, though only managed five pictures of class 507/508 units and a couple of stations in the area that I've not previously got record shots of. We were both suprised though to see 508111 has acquired an advertising livery for The Beatles Story. We spotted it crossing the road bridge at Wallasey Village whilst we were between Wetherspoons on a bus so we jumped off to wait for it to return from New Brighton. The light was that dire though that even a stationary shot of the thing didn't show the livery up well. The 'livery' is though a massive improvement on the dreadful usual colour and state of the trains though. I hope you've managed to get to the end of my first ramblings without getting too bored. The plan for tomorrow (the 12th) is to get up early and head round past Barrow for the new DRS loco-hauled passenger train; though I'm doubtful if it will even be light by the time I see it. Keep an eye on this blog and I'll let you know the results! Bye for now.